In Tamil Nadu, at the end of 10th Grade, students take an important exam called, SSLC ( Secondary School Leaving Certificate). The exam, held by the Government of Tamil Nadu, was conducted last March. Out of the twenty-eight students from our ‘after-school support’ centres who took the exam passed and only one failed and that too, in a single subject. 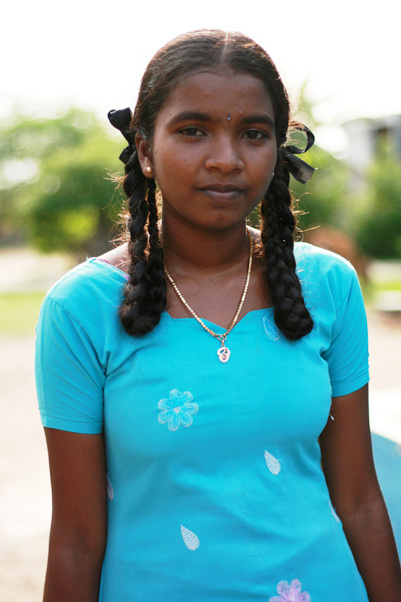 We would like to highlight the performance of our student Renuka, from the village of Vallayaputhur who achieved the highest score in the Vedanthangal Higher Secondary School, scoring 453 of 500 points. Her parents, who work as daily labourers, are very proud of her daughter as for the first time, a family member has chances to attend college.